When plywood is used for visible pieces in furniture and cabinets, it needs to be finished. 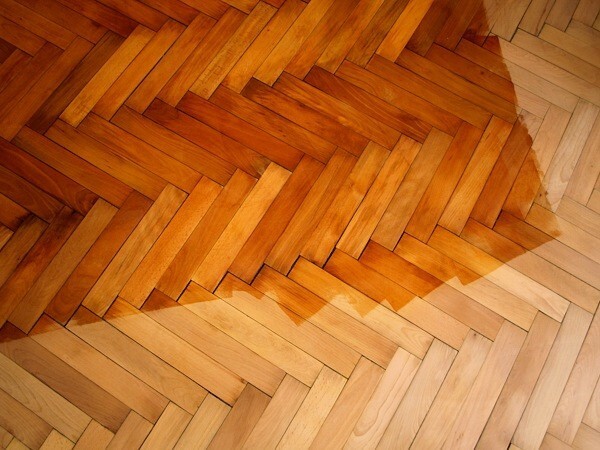 The finish improves the look of the piece, as well as providing the wood with needed protection from dirt and spills. Proper finish enhances the finished piece, helping it to last longer. 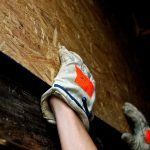 Finishing plywood, like any other wood, usually means application of either varnish or lacquer. So the first question you need to ask yourself is, which one do you want to use. Both appear similar, providing a clear finish, although lacquer can be tinted and is sometimes. Both provide a nice luster, with lacquer able to be buffed to a higher shine. But they are very similar. For most woodworkers, the answer comes down to how they are going to apply the finish. Lacquer is usually sprayed on and varnish is usually brushed on. Spraying requires the right equipment, as well as a dust-free environment. So if your workshop doesn’t have a paint booth, you’re probably going to have to use varnish instead. Before applying the finish, the project should be finish sanded with 150 grit sandpaper. Keep the sanding direction in line with the wood grain, to avoid visible scars across the grain. Be careful when sanding, as the finish veneer layer of any plywood is usually quite thin, so it’s easy to sand through into the lower layers before you realize what’s happening. When you are finished sanding, wipe up the dust with a damp cloth and then allow the workpiece to dry. The first coat of finish in both cases should be a sanding sealer. This is a shellac or lacquer based product to seal the wood’s pores and raise up any “fuzz” on the surface of the wood. Sanding sealers dry quickly, so you shouldn’t have to wait more than 20 minutes before sanding again. The sanding sealer should be sanded with 220 grit sandpaper. You are actually sanding the finish this time, so it isn’t important whether or not you sand with the grain. Once again, avoid oversanding. When done, the surface should feel smooth and almost soapy. Wipe the surface once again, and allow it to dry. Now you are ready for your varnish or lacquer. Although there are brushing lacquers made for most purposes lacquer should be sprayed. You will get a smoother finish that will provide a higher shine when spraying. Varnish should be brushed on, staying with the grain, so that any unevenness in the finish thickness will look like part of the wood’s grain. Once this coat is dry, it can be sanded with 320 grit. Continue applying coats of finish to your project, until you are satisfied with the depth of the finish. Deep finishes provide a nice effect, magnifying the grain and making the project look rich. Always sand lightly between coats, to help ensure adhesion, but do not sand the final coat. If you are applying lacquer and the finish turns cloudy, it indicates that there is too much in the air of your workshop. Find a drier area to work in and apply another coat the cloudiness should disappear.